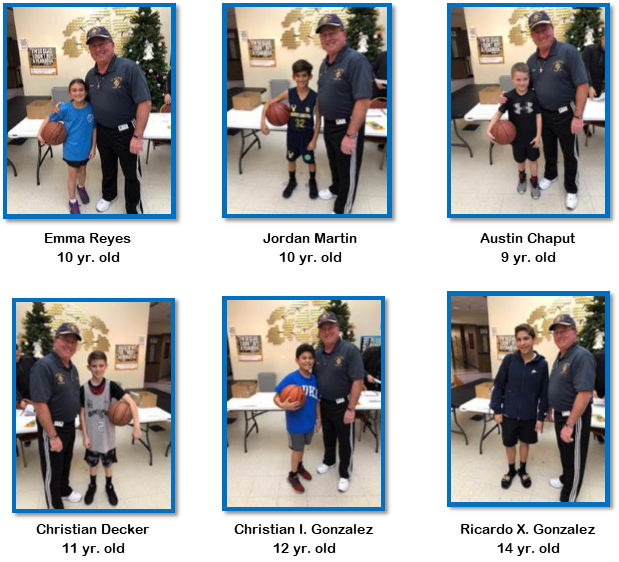 Please help us to congratulate the winners of our Free Throw Contest. These champions will move on to the District Competition, which will be held this Saturday, January 26 at Our Lady of Atonement (15415 Red Robin St., San Antonio, TX). UPDATE: Miss Emma Reyes won the District Free Throw Contest in the Girls 10-yr. old category!! She is moving on to the Regional Competition.